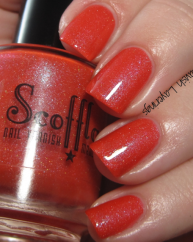 Ruff Tuff Creampuff by Scofflaw Nail Varnish. 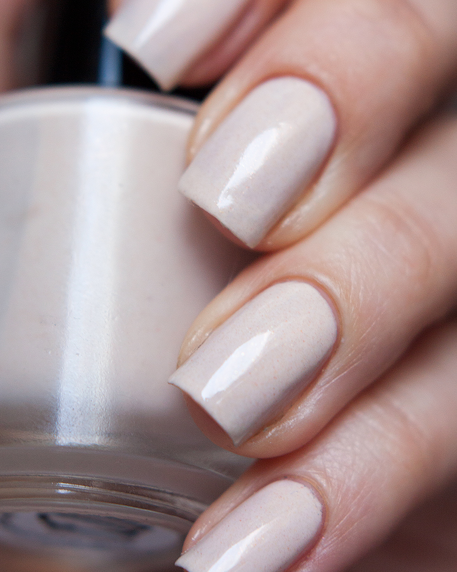 A soft creme with a delicate and subtle warm peachy shimmer. 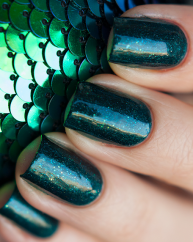 It’s opaque in 2-3 coats, depending on your nails. 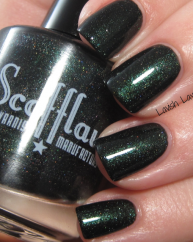 Another beauty by Scofflaw. A nice creamy colour (it’s definitely cream, not white as the picture looks) with a beautiful shimmer. Great for work!